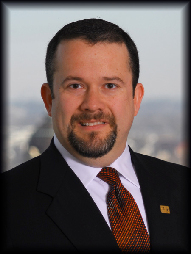 Patrick Koontz serves as a relationship manager and fiduciary advisor for trust administration and estate planning. Patrick acts impartially in managing and distributing your trust property, while always keeping the interests of you and your beneficiaries in mind. Patrick joined Fifth Third Bank in 2005 after practicing law in the areas of estate and trust administration, elder law and small business. As a Senior Trust Officer, he is responsible for assisting clients with the administration of investment management accounts, personal trusts, estate administrations and personal charitable foundations. He advises generations of families as they work through issues such as wealth and business transfer planning, the challenges of loss of capacity, private and higher education funding, charitable intent and other financial matters. Patrick is a member of the Signature School Foundation Board of Directors and volunteers for the Wesselman Nature Society, the Evansville Vanderburgh Public Library and the Henderson Music Preservation Society.